Syberia 2 • View topic - No news for syberia 3? Board index ‹ ENGLISH ‹ EN - Syberia III ‹ No news for syberia 3? No news for syberia 3? Re: No news for syberia 3? Thanks for the update, Youki. Yeah, sure. 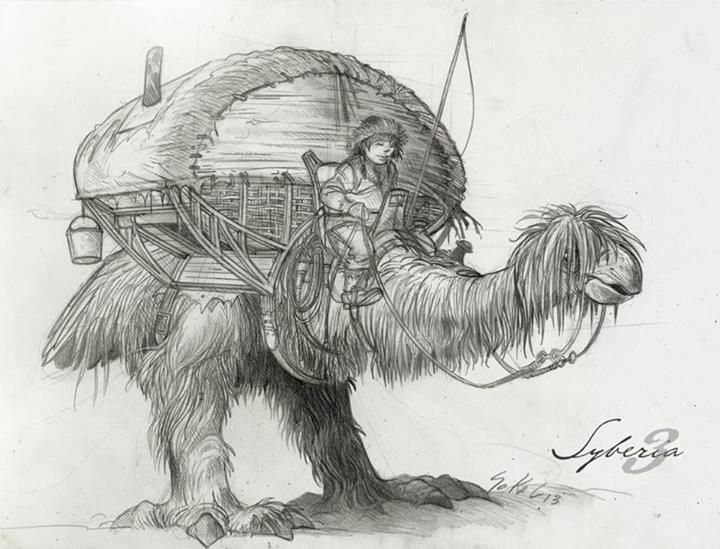 If only it could make Syberia III more real... D:. in Syberia 3, the story will not be continued , but a new adventure in the life of Kate tells where they can meet old friends again. Yet is also not clear whether the game is developed in 3D or 2D, but it is in the new release date for the year 2014/2015 also around for some time. Where did you pre-order it??? "due to be released in 2015." Seems to be the last work from Microids. Gamestop, a gamestore in Helsinki, Finland. Microids has announced that Syberia 3 will finally be released in Fall 2016 for PS4, Xbox One, PC/Windows and Mac. it is the best part of all, Like the upcoming Mavic Pro quadcopter (review) is the best drone out there. Last edited by alexau on Sun 1 Jan 2017 12:53, edited 1 time in total. Will Syberia footage be present on Paris Game week? If so will it be showed publicly on Microids Youtube? Do you also want the translation of that link? Loty Borodine wrote: Do you also want the translation of that link? You mean you would translate all the comments what people wrote to look forward to find in Syberia 3?